The summer 2012 survey of what YTI Members enjoyed in terms of monthly social events had shown that many Members shared the sentiments of Omar Khayyam by voting for joint evening meals during the week with an international flair as a firm favourite. The Committee therefore decided to make this year’s April social event such a meal and, having gone in recent years for joint meals with a French, Indian, Spanish, Turkish and Chinese flavour, it was decided that it was time to sample another of the world’s truly great cuisines and look for a really excellent Italian restaurant to try out in our Region. 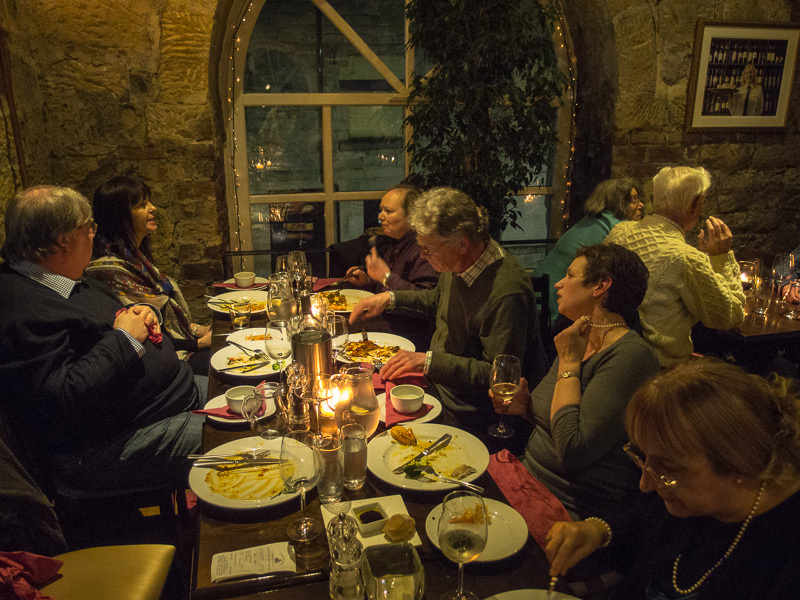 Soundings were taken and one recommendation to emerge was the “Buon Apps” restaurant in Otley and so it came about that a group of Members (and partners) met up here for evening dinner on Thursday 11th April. In this very pleasant, relaxed and convivial atmosphere, conversation flowed readily and continuously (but WITHOUT (to the relief of many) any mention being made as to the particular merits of one CAT tool over another!) Topics covered included rates and how to adjust them, the threat posed by future developments in Machine Translation as well as summer holiday plans. It was therefore with a feeling of reluctance that the time finally came to depart for home, but not before once again thanking our Joint Coordinator, Charlotte, for having found such a gem and having provided all of those attending with a culinary experience which they all agreed they would be repeating in the future as well! 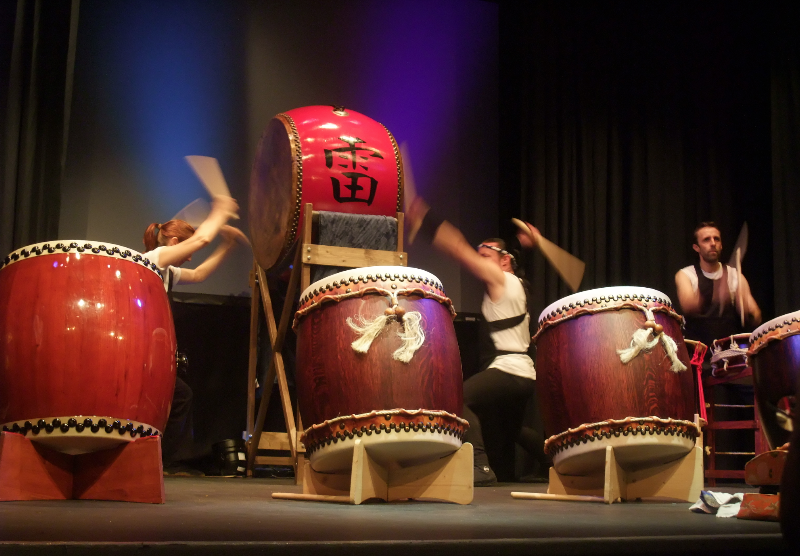 On Saturday 16th March, a small group of YTI members gathered in York for an evening of Japanese entertainment. After a nice meal at Prezzo, conveniently located close to Friargate Theatre, we walked over to the theatre in plenty of time to collect our tickets and find some seats. This venue is small and the seats are not numbered, but we managed to stake our claim on the very front row. You might think that being seated directly in front of several large taiko drums would be deafening, but being so close that we could feel the vibrations of the drums and see the sweat on the faces of the drummers was an intense experience, and our eardrums survived intact. The performance began with a single performer playing a piece on the koto (a thirteen-stringed zither), and it was mesmerizing to watch his hands as he plucked and strummed the strings to create hypnotic sounds. The hypnotic mood was then swept away by the deep, thunderous boom of the odaiko (big drum) and, as the smaller drums joined in, we were soon caught up in the sheer energy of the drumming performance. The group, Kaminari, which includes YTI member, Mary Murata, compose and perform many of their own original pieces. After the drumming had built to a crescendo, it died away to a gentle, throbbing beat, allowing the two poets standing on either side of the stage to read their tanka poems before the sound of the drums gradually built up again. Tanka is a traditional Japanese poetic form with 5 lines in each poem, slightly longer than a haiku. At certain points in the performance other instruments were brought in including the Western flute and the Japanese flute, and there was a wonderful duet featuring a taiko drum and a shamisen (a form of fretless banjo). The movements of the performers were also an important part of the show, from the careful, restrained motions of the koto/shamisen player to the exuberant, exaggerated actions of the taiko drummers. The finale involved the whole audience clapping along as the beat got faster and faster, giving us a real sense of the exhilarating speed at which these expert performers can play.